Cognitive Behavioural Therapy (CBT) is a medically verified therapy, which has proven success. Our Dublin therapist is a leading specialist in anxiety, phobias, stress and self esteem using proven cognitive behavioural techniques and tools. This site will fully explain the therapy available and how it works and why cognitive behavioural therapy is the therapy to try first. We get referrals from GP's and other medical practitioners, as they know we have a great success rate. We are also able to take direct bookings from individuals. 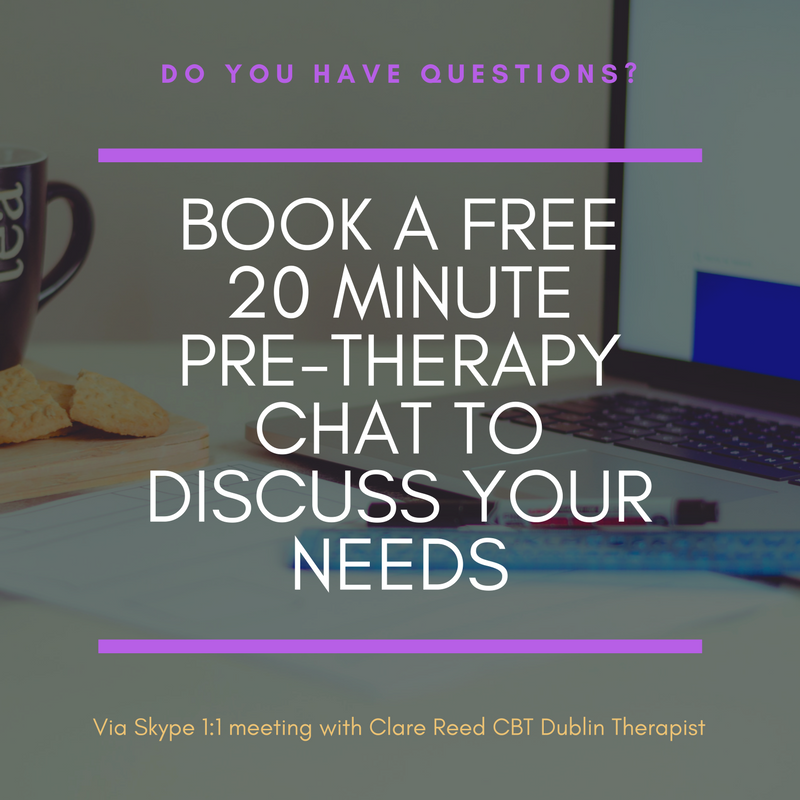 Our therapist has been practising CBT since 2008 and was centrally located in Dublin 2 but now all therapy is conducted in the comfort of your own home, remotely via Skype. She offers a confidential and professional service to all her clients on a one to one basis. All sessions are conducted visually so you can see her and it is felt to be a more relaxing experience for the client who can be in their own chosen environment. Find out more about how our Cognitive Behavioural therapy sessions work using our remote online therapy platform. You can learn more about the different sessions here. We are only a call, email and booking away to make your first step on the road to living the life you want to live. There is no need to struggle on with anxiety, lack of confidence and self-esteem, with this therapy you can take positive action, draw a line and move on. Or via our contact page, or, if there is no time to lose you can book a session straight away using the very easy to use 'book appointment' schedule button below. We enjoy keeping up to date with new therapy techniques as well as technology, and in an effort to suit our visitors who enjoy watching information video's here is our video information in a nutshell. If you want to get started you can book a session via our very easy to use online booking system or call us the traditional way on 01 687 7165. We are only a booking, or call, away to help you progress forwards in your life, positively, using Cognitive Behavioural therapy. 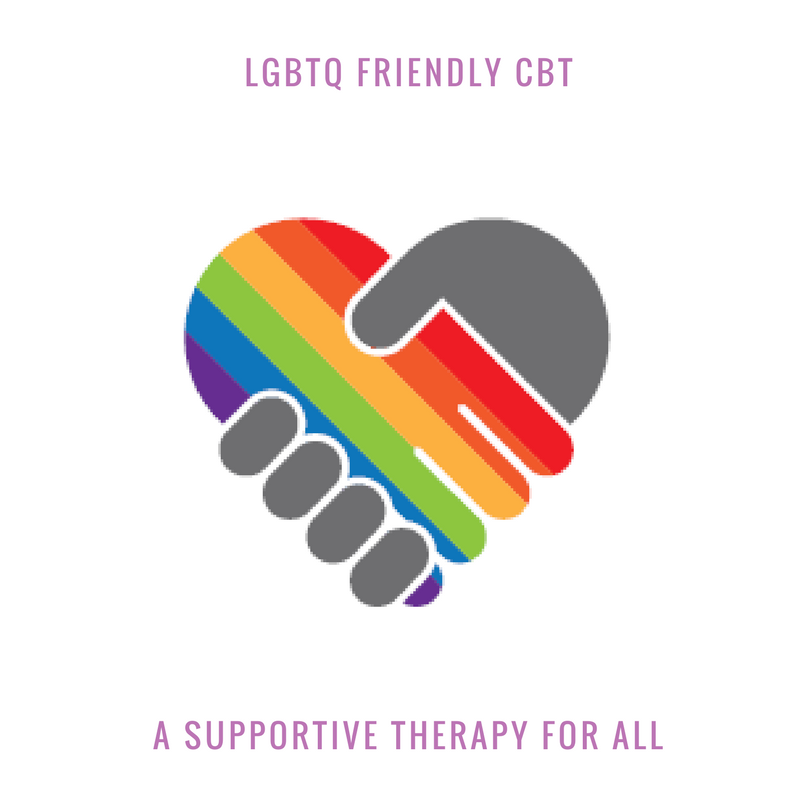 CBT Dublin's office was located for the last 7 years at 47 Harrington Street, Dublin, 2 until 2017 when we changed to Skype only sessions, this is useful to know for those referred to us with our old address if you were given the location from a past client of ours, or from your GP you know this is the same therapy clinic. 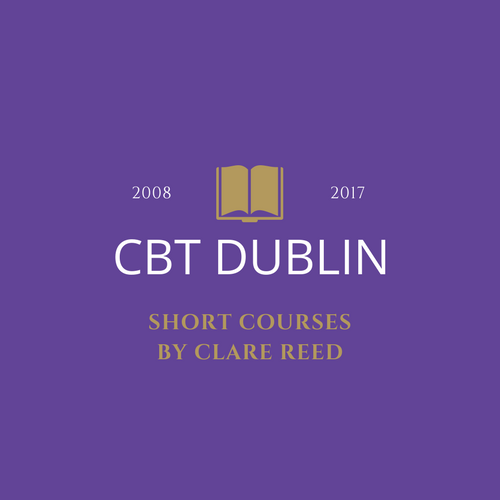 A Welcome Message from Clare Reed your CBT Dublin Therapist. 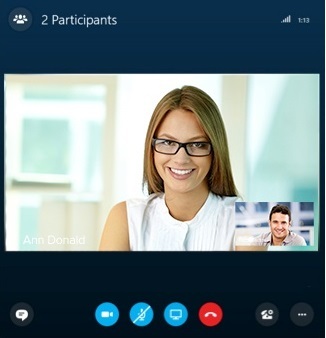 Our Online sessions on Skype are face to face.